Our showroom in Bristol's Gloucester Road has everything you need for your tiling requirements. 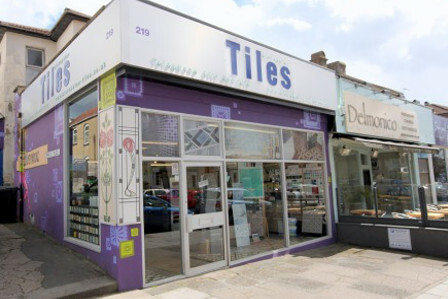 We are an independent, family-run business, established as a tile shop here on Gloucester Road for over 35 years. We aim to provide a traditional service offering our design advice and experience of what looks good. Bishopston Tiles provides a professional and quality service for all your tiling requirements. Our showroom in Bristol's Gloucester Road is crammed with tiles from all around the world, hand-picked using our knowledge and eye for beautiful design. Our showroom is much bigger than it looks from the outside! We have lovely displays and a huge range of tiles to suit all styles and budgets. 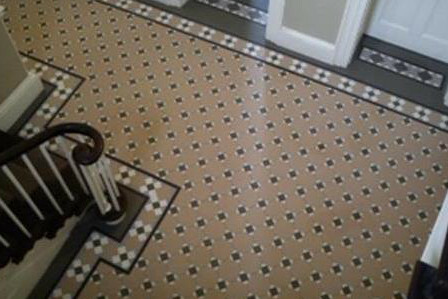 Visit us and view our stunning range for floors and walls, including hand-made tiles, mosaics, mouldings, glass and classic Victorian period reproduction. Customers often describe Bishopston Tiles as being "Full of colour!" Let us help you choose the perfect tiles to transform your home. See our varied selection of wall and floor tiles. From classic to contemporary, we have something to suit every area of your home or business. A great way to see how our tiles look in real homes just like yours. Before and after photos show just how the right design can transform a room. We're always happy to 'talk tiles', sharing our expertise and advice to give you the confidence to make the right choice for your individual requirements.